The Nike RZN Red Golf Ball Set features lower driver spin for longer carry and makes the right choice for Company Logo Products, Customizable with brand logo. 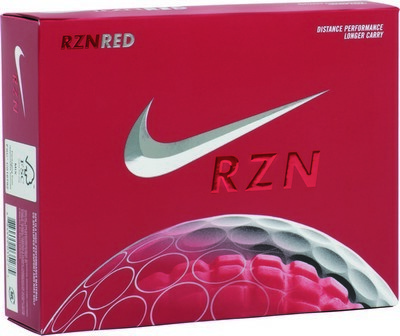 Nike RZN Tour Red Golf Ball is well suited for moderate to lower swing speeds. This tour level three-piece polymer ball has a soft cover for increased greenside spin and extra control. With efficient energy transfer on impact the RZN Red has the capability to carry farther. Take to the green with the tour quality Nike RZN golf balls during your next corporate night out and enjoy the appreciation of your customers. Imprint your company logo and marketing message on the ball for an eye-catching promotion and watch your brand go the distance in style!